BEFORE SPEAKING of spirituality I must first explain what I mean by it. There are people who consider spirituality as orthodoxy or piety: to be religious, to be a priest, a monk, a hermit, to fast, or to live a life of a certain discipline, to adopt a certain form of worship. A person may have all these outer forms without being spiritual, and a person may have nothing of these and be spiritual. Those who seek spirituality in such outer forms are mistaken, for it is more than that: real spirituality is spirit-consciousness. To be spiritual means to be conscious of spirit, just as a material person means a person who is conscious of matter. So it is not religion, orthodoxy, outer forms, or a certain kind of life which means spiritual life: it is to be conscious of the spirit that makes one spiritual. There are others who think that those who perform phenomena, miracles, who work wonders are spiritual. It is not so. Many who are capable of performing phenomena are not different from a magician. Then others say that to be spiritual means to tell fortunes, or to be clairvoyant, to see wonderful things. It is not necessary to do or to see wonderful things in order to be spiritual. Others imagine that to be spiritual means sitting in the caves of mountains, or roaming about in forests, or to appear and disappear. All these things are but fancies of the imaginative. To be spiritual means to be one's self, to be one's natural self. How many of us are our self? If we were our self we would all be spiritual. We are not our self, we are far from it! A great Indian poet expresses this idea in this way, 'Apart from accomplishing things, for man to be a man is the most difficult thing'. It means that for a human being to be human is the greatest difficulty. He is born a human being; yet the first thing he ought to be is what he is not, he is anything but a human being. He is willing to be a solicitor, a doctor, a professor, but to be a human being – that is the thing he thinks of last, and mostly he does not even think of it at all. People say that nowadays there is a great tendency in the world to discover spiritual truth, that there is an inner spiritual awakening. Yes, I admit it, but what direction does it take? Very often it takes wrong directions. Those searching after truth often think that the best way to find belief in the spirit and the hereafter is mediumship: to become a medium themselves, or to go to a medium – and when they have found proof – to communicate with the dead. Then they think they have found proof of the spiritual. They wreck their nervous system, many go out of balance. In this manner the way that would lead to spirituality leads to destruction. There are others who wish to pursue the spiritual in the same way as a person in a university or college. They want to read all things in a book. They think, 'If there is anything like spiritual attainment one book must tell us about it'. If they go to the library and read throughout their whole life all the books there are, they cannot touch spirituality, because it does not come from books. Reading helps one sometimes to awake; yet every person does not know how to read. What is happening today is that there are thousands and thousands of people who read one book, then another and still another, until their mind is so confused that they do not know what to believe and what not to believe. Among them there are many who think that the best way is the intellectual way. But what is intellectual? Is reading really intellectual? Are all books the same? Many times they only confuse a person. Very often books with ten errors on the same line puzzle a person's mind so much that he does not know where he is. Often people come to me and tell me – in order to help me – to have confidence in them, because for ten years they have been reading my books. Instead of having confidence I have to guide them on the path and to erase what they have learned first. Perhaps they are not willing to erase; they think that they have gained this knowledge by reading a hundred books. What knowledge? Is it spiritual? Besides, very often intellectual pursuit gives them the idea that there are such masters and such mahatmas and saints in the Himalayas, in the caves of the mountains. They never think that such a person can be in the crowds. It interests them most when he is in a place where nobody can reach him. They think he cannot be in a restaurant taking his dinner; he must be in a cave of the mountain. Imagine! Why was this world created? Why are we born in this world, in the midst of this world, if this world were not a school to develop the soul and to arrive at the stage which is life's purpose? Man has lost confidence in his fellow men. He expects spirituality from the dead, from the trees – not from men. He has no confidence in his brothers. Others are interested in the meaning of symbology: this particular symbol means this, another gives a great revelation, another is a great mystery. Where is spirituality to be found? Is it not in the heart of man? Instead of in their own heart people want to look in different places, or in certain symbols. Yes, symbols are expressive of it, but the direct way is within oneself. I had an amusing experience one day, traveling in England near Bournemouth I was brought to a place where they said I should speak. They said it was an important place; so I went there. The man who brought me there said, 'Now here in this corner – you can feel that here is the secret'. Imagine, in that place was spirituality, not in man! Those who make their occupation of spirituality take advantage of people's ignorance. They cater for them, they feed them, they say to every person, 'You are a medium'. So those who take this as a profession tell everyone, 'Come along. Be more fanciful, more imaginative, more superstitious '. They feed curiosity. Does it lead anywhere? In this way people get lost and will never be spiritual. This is to be found everywhere. Now coming to the actual subject, the difference between spirit and matter: once a young Italian who did not believe in God or soul was traveling with me in the same ship, and he thought that perhaps I was a priest. He asked, 'Do you believe in anything?' 'Yes', I said. 'What is your belief?' I answered, 'It cannot be said'. Since he was antagonistic he said, 'I do not believe in anything. If there is anything in which I believe, it is in eternal matter'. I replied, 'My belief is not far from yours. What you call eternal matter I call eternal spirit. What you have named matter I have named spirit'. It is a dispute over words, the understanding is the same. The difference has come by disputing over words. What is spirit is fine matter and what is matter is dense spirit. In other words, there are two names and there is one subject: call it water, call it snow. When it is crystallized it is snow, and if you do not like to call it water, call it snow. If you wish to distinguish you may call it by two names, there is no objection to it, it is a question of choice. If you choose that there is no matter, as Christian Science also says, then matter is spirit just the same. And if you choose to call spirit matter, then spirit is matter just the same. If you say both things that is right too. Truth is in understanding, not in expression. People have strengthened their truth, they have taught and fought and arrived at nothing. Very often those who do not understand a subject argue for the reason that they want to know about it, but they do not honestly want to know about it. Their way is to argue; then they know the other's idea also. They oppose the other to hear what he has to say; it is a kind of robbery. They have a thirst for argument. He who will not understand will never understand, however much it is true. He who understands – you tell him and he will understand. It is a matter of evolution. Besides, there is a tendency in everyone to think, 'The other one must look at things as I do. If it is a friend, if it is a wife, a husband, a brother, a sister, or a companion, they must understand things as I do'. But that is impossible. Maybe they are at different stages of evolution, they cannot understand. Leave them alone! For some it is good to sleep, for others it is good to awake. It is no virtue to awake everybody; it is the greatest crime to awake those who ought to sleep. To make everyone spiritual is not a right mission. The best thing is to help a person wherever he is and not to try to bring him to a certain pitch. He will come naturally; to put him on the right track is enough. Often people who are interested in spirituality urge it on those in their surroundings. They are mistaken; those urged are sometimes more spiritual. Man is a great mystery and we know so little about it. I have traveled in India for nine years in the pursuit of the illuminated ones, the living wise men of the East. You would be surprised to know how various illuminated souls live under the guise of an ordinary person, so that no one can ever distinguish them as different from others. Many of them bear themselves in the same way as everybody does, sitting in the same places, saying the same things that anyone else would say; neither do they show any difference in outward appearance, in speech or claims. At the same time – if you could see behind those great beings – they are as different from others as the sky is different from the earth. I will tell you something about my own teacher. Once I met a learned man, a doctor of philosophy with a great many degrees. I spoke to him on the deeper side of life and he became so interested in me that he thought much of me. So I thought, 'If I were to tell him about my teacher, how much more interesting that would be for him. If I make such an impression upon this man, how much more my teacher will be for him, and how much will he appreciate my teacher', and I told him, 'There is a wonderful man in this city, he has no comparison in the whole world'. 'Yes? ', said he, 'Are there such people? I would so much like to see him. Where does he live?' I told him, in such and such a part of the city. He said, 'I live there too. Where is his house. I know all the people there. What is his name?' So I told him, and he said, 'For twenty years I have known this man, and you are telling me about him!' I thought, 'In a hundred years you would not have been able to know him'. He was not ready to know him. If people are not evolved enough they cannot appreciate persons, they cannot understand them, they cannot understand the greatest souls. They sit with them, they talk with them, there is a contact of the whole life, but they do not see. Another person in one moment, if he is ready to understand, makes a benefit out of it. Imagine, the learned man had known my teacher for twenty years and did not know him. I saw him once, and became his pupil forever. One might ask, 'Was this man not learned, not intellectual?' Yes, he was. Then what was lacking? He saw my teacher with his brain, I saw him with my heart. People pursue spirituality with their brain: that is where they are mistaken. Spirituality is attained through the heart. What do I mean by the heart? Is it the nervous center in the midst of the breast, the small piece of flesh that doctors call the heart? No, the definition of the heart is that it is the depth of the mind, the mind being the surface of the heart. That in us which feels is the heart, that which thinks is the mind. It is the same thing which thinks and feels, but the direction is different: feeling comes from the depth, thought from the surface. When thought is not linked with feeling it is just like a plant rising up from the earth, the root of which has not gone deep. A thought without feeling is a powerless thought; it is just like a plant without a deep root. A tree the root of which has gone deep into the earth is stronger, more reliable, and so the thought deeply rooted in the heart has greater power. The heart therefore is the factor through which spirits and spirituality are to be attained. In man's being three aspects can be distinguished: body, heart and soul. The heart is a globe over the soul and the body a cover over the heart. One might ask: Is the soul so small as to be covered by the heart and is the heart so small as to be covered by the body? It is not so. The soul is within and without. For instance, a light is covered by a globe and the globe by another cover – and yet, is the light covered? It shines out just the same. The light is not under the cover; it seems to be under the cover, but it shines out. Such is the soul. The globe does not shine out, but the light takes the color of the globe. It is the soul that is larger; at the same time the light is within the globe and the soul within the body. It is exactly like the light within the globe and the globe within the cover. The light is outside the cover, and the power of the globe shines outside the cover. So the power of the heart is greater than the power of the body, and the power of the soul is greater still. As long as one is ignorant of this, one does not realize truth. Imagine what a power the heart quality has. The little hen, when it is with its young ones and a horse comes or an elephant, is ready to fight them. Otherwise it would run away, but with its young ones it is ready to fight with the elephant. The heart quality is blooming at that time, it is feeling; at that time its power is so great that the little hen is ready to fight with anyone. In India a hunter's story is told about a she-deer that was pursued by a hunter and ran far away into the woods. When she came near her young ones who were waiting for her she did not run further, she forgot the hunter. As soon as the heart quality was awakened in the presence of her little ones she had no fear. There is nothing one will not sacrifice, accomplish, or face when the heart quality is awakened. All cowardice and weakness, misery and wretchedness come when the heart quality is covered and man begins to live in his brain. Lions turn into rabbits when they are not lion-hearted. Very few understand the power of the heart. Once the heart is awakened there is nothing that one does not accomplish. Besides inspiration and illumination it gives all the force and power one needs to attain anything one wants. One might ask: Is it not natural to attain spirituality? Does it not come without any effort on our part? And if it is not natural, then what is the use of attaining spirituality? These are right arguments, and my answer is that spirituality is not only for human beings, but also for the lower creation, for every being: not spirituality in the sense we understand, but in that of being tuned to one's natural pitch. Even birds have their moments of exaltation. At the setting and rising of the sun, the breaking of dawn, in the moonlight, there come times when birds and animals feel exalted. They sing and dance, they sit on the branches of the trees in exaltation. Every day they feel this exquisite joy. If we go still further and have eyes to see life in those forms in which others do not see it, in the rock, in the tree, we find that there are times when even the trees are in a complete state of ecstasy. Those who move in nature, who open the doors of their heart, whose soul comes in contact with nature, find nature singing, nature dancing and communicating. It is not only a legend, a story of the past, that saints used to speak with trees. It is an actual fact, and it is the same today as in the past. Souls are of the same nature, they are the same. The only difference is that we have become unbelievers, we have no confidence in life, we have become material, we have closed our eyes to what comes before us. Today souls can become saints and sages just as before. Are the stars not as before? They communicate also today with the one who is able to respond to nature. But we have turned our back to nature, we live in an artificial world; there is no self confidence in us, no belief. Naturally we have not only become materialistic, we have become matter! Therefore those who ever have attained to spirituality have attained by awakening the quality of heart. Sufis in all ages, mystics of India, Persia, and Egypt have considered the awakening of the heart quality to be the principal thing in life. For all the virtues that the priest can teach and prescribe, the virtues that one is told to practice in life, come naturally when the heart opens. Then one need not learn virtue, virtue becomes one's own. All virtues as taught by people – how long do they last? If there is any virtue it must come by itself: spirituality is natural. And if animals and birds can feel spiritual exaltation, why not we? But we do not live a natural life. We have tried in our civilization, in our life, to be as far removed from nature and natural life as possible, breathing an artificial atmosphere to withstand climatic influences, eating food that we have prepared and improvised, turning it into something quite different from what nature had made and given us. Besides that, the deeper we go into the life of the community, the more we find that we are not on the track as we ought to be. We seem to have lost our individuality. We have called it progress – a progress towards a certain condition. And there we begin to feel that we are in a maze. Now has come the time – and more and more so every day – that thoughtful people, wise people who are just and honest realize, 'We are not progressing, we are in a maze and we are looking for the door.' I spoke with a great scientist, and in spite of all his knowledge what did he say? 'We do not know where we are. We have made inventions, but we do not know how to control them to the best advantage of life'. Invention apart, the first question is how to make the best of our life, how to make the best of this opportunity which is passing us by. Every moment lost is incomparably more valuable than the loss of money. As man will realize this he will more and more come to the conclusion that he has gone on and on thinking he was progressing, but that he has been moving around in the same maze. If only he found the door, that door which is called by the wise spiritual attainment! However well educated one may be, however much progress one has made, however much one has collected or accomplished, however much power and position one has gained, only one thing is everlasting and that is spiritual attainment. Without this there will always be dissatisfaction, an uncomfortable feeling. No knowledge, power, position or wealth can give that satisfaction which spiritual attainment can give. There is nothing easier and nothing more difficult in the world: difficult because we have made it difficult, easy because it is the easiest thing possible. All other things we have to buy and pay for – even water. For spiritual attainment we do not need to pay a tax, it is ours, it is our self, it is discovering our self, finding our self. Yet what one values is what one gets with difficulty. Man loves complexity so much! He makes a thing big and says, 'This is valuable'. If it is simple he says, 'It has no value'. That is why the ancient people, knowing human nature, told a person when he said he wanted spiritual attainment, 'Very well; for ten years go around the temple, walk around it a hundred times in the morning and in the evening. Go to the Ganges, take pitchers full of water during twenty or fifty years, then you will get inspiration'. That is what must be done with people who will not be satisfied with a simple explanation of the truth, who want complexity. Often having been asked, 'Show us a tangible truth', I asked myself how it would be if I wrote TRUTH on a little brick and gave it to people saying, 'Hold it fast. Here is tangible truth'. Fine people, when they write a letter, expect their friend to read between the lines. Even subtle feelings of the human heart cannot be expressed in words. How then can anyone expect truth to be spoken in words? That which is spoken in words can never be truth. People do not distinguish between the meaning of fact and of truth; they always muddle truth with fact. Often the greatest error is made when a person who has a crude or insolent nature or a brain of stone says, 'What do I care how anybody takes it? I simply tell the truth. It does not matter whether a person is hurt'. But truth is the finest thing and most beautiful. If one tells the truth must it hurt? If it hurts anybody can it be truth? Truth must raise a person, must illuminate him, it must be the most beautiful thing on earth, harmonizing, uplifting, inspiring, it cannot be hurtful. If it is truth it is the greatest healing there is. But people interpret truth in the form of facts, and muddle truth with fact, just as they confuse pleasure with happiness. When people are pleased they say, 'I am happy', and when they are happy they say, 'I am pleased'. But pleasure is far from happiness. A small thing can give pleasure, but in order to be happy one ought to arrive at that pitch where there is everlasting happiness. Pleasure comes and goes; it is the shadow of happiness, it is not happiness. In the same way people muddle cleverness with wisdom. Of a wise person they say, 'What a clever man', and of a clever man they say, 'How wise is he.' A worldly person is not wise, he is clever, and a wise man is not necessarily clever, although he is perfect wisdom. Cleverness is a shadow of wisdom. Wisdom is light. In the East no doubt seekers after truth in all ages have sought the direction of those who had already acquainted themselves with the path, in order to tread the path under their guidance. Today a man comes and says, 'I do not wish to follow any guidance or advice. If a book can tell me something I shall read it. Tell me just now what I should do, and I shall do it'. Imagine! In order to develop your voice you go to a teacher of voice-culture and do a thousand practices with open mouth and make a thousand kinds of grimaces you would never like to make. In order to develop the voice you have to do a thousand things which sound foolish in order to sing one day. What comparison is there between spiritual attainment and singing? If singing rightly takes so many years' practice and so much concentration and discipline under the orders of a teacher, how can a spiritual teacher tell at the dinner table what spirituality means? People ask, 'Would you tell us in one word how we can attain spirituality?' Is it such a simple thing? Who then can tell it and how can it be told? It is something to discover for oneself. The teacher can only put one on the track to attain to that realization which is called spirituality. No doubt according to the idea of the people of the East the responsibility of the spiritual teacher is still greater than that of parents towards their children. From the time of his birth the parents' thought is centered on the well-being of the child. Even when he is grown-up the child is the same in the heart of the parents; they are interested in everything he does. The child may not care for them, but they will understand. He may be far away, yet from a distance the heart of the mother will always be craving for the welfare of her child. So it is with the teacher. The spiritual teacher under whose guidance a pupil places himself will fulfill to him the place of both father and mother, and even more. His welfare is the teacher's religion, it is his spiritual responsibility; for the spiritual teacher there is no other religion. He is not necessarily a priest; all the duty he has is to be anxious about the welfare and well-being of those who sought his guidance, who come under his direction. 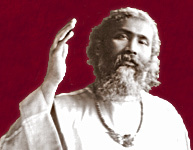 It is therefore that the service of the great ones such as Jesus Christ, Buddha, Moses, Muhammad, or any others who came from time to time to serve humanity in a small or in a great way, has been a service of love and affection in order to raise humanity by their own example, their own ideas, their own love. What they have taught is not so important as what was given beyond words as love and light. That is the sacrament in the church, the same in the form of love and wisdom. What has come in words, or from the lips, is very little – so simple. There is no comparison between the Bible or any such spiritual book and a writer of today, because the value of the book is not in the capability of the writer; its value lies in the personality of the teacher. The wonderful souls who from time to time served humanity helping it to progress – whether known or unknown, whether mankind has forgotten them or still holds them – have done their duty and always do so. Those who take such an opportunity of benefiting by their teaching, by their thought, are blessed ones. Spirituality is not necessarily intellectuality, nor is it orthodoxy or asceticism. Orthodox, ascetic or intellectual pursuit after truth – all these are the ways people have taken in order to reach a spiritual goal, but the way is not the goal. If there is a definition of spirituality it is the tuning of the heart. In this material age of ours the heart quality is totally forgotten and great importance is given to reason and logic. When we argue with a person, he says, 'Argue with reason, be logical'. Sentiment and idealism have no place; it is therefore that humanity is getting further and further from spiritual attainment. The main quality, the best in man, is ignored and by ignoring that quality it becomes dead. For instance, if a poet happens to live in a village where no one understands poetry, if an artist lives in a town where no one cares for his pictures, if an inventive genius has no opportunity of bringing out his inventions, these faculties become blunted and in the end they die. So it is with the heart quality: if it is not taken notice of, if it has no opportunity to develop, if it is ignored, then this quality becomes blunted and in the end it dies. As it is said in a song, 'The light of life dies when love is gone'. When feeling has become blunted then what remains? Nothing. Then there is no sign of life. What remains is intellectuality expressing itself by the power of egoism. It is difficult to live in the world because selfishness is ever on the increase. Business and industry apart, even in friendship, in relationship the give-and-take has the greatest importance, worldly interest takes part in it. There is a certain fineness that belongs to human nature, a certain nobleness, a certain independence, there is a certain ideal, a certain delicacy, a certain manner that belong to human nature, and all these become blunted when the heart quality is left undeveloped. I have been traveling for many years seeing people busy in the pursuit of truth and to my very great disappointment I have found many of them, although interested in higher things, yet arguing, discussing, 'Do you believe what I believe', or, 'Perhaps my belief is better than yours' – always that intellectual side. They said, 'We have so many things connected with our life in the world in which we can use our intellect: business, industry, domestic affairs'. In seeking God, in attaining spirituality we do not need to use so much intellect, because this does not come by the intellect: it comes by the tuning of the heart. People will say, 'Yes, but all the same there are emotional persons, affectionate and loving people'. But I do not always call emotional people loving people. They may be so outwardly, but very often the more emotional they are the less loving, for one day their love is on the rise, next day it is on the fall, one day very loving, next day just moved with emotions like clouds. One day the sky is clear, next day it is covered. One cannot depend upon emotions, they are not love. It is the feeling nature that is to be developed, the sympathetic nature. Besides, there exists, especially in the Western world, a false conception of the strength of personality. Maybe many have understood it wrongly; under the guise of strength they want to harden their hearts. For instance, many men think that for a man to be touched or moved by anything is not natural or normal. On the contrary! If a man is not touched or moved it is not natural; he is still in the mineral kingdom and not yet in the human kingdom. To be human and not be touched or moved by something touching or appealing only means that the eyes of the heart are closed, its ears blocked. This heart is not living. It is a wrong understanding of a high principle. The principle is that man must be feeling and at the same time so strong that as much feeling he has, so much strength he must have to cover it. It does not mean he must not be feeling; man without feeling is without life. Those who are afraid of feeling think that the right, the normal thing to do is to keep away from feeling. However much they study psychology, theoretically and methodically, they will not attain to spirituality. Spirituality does not belong to intellectuality, it has nothing to do with it. In connection with spirituality, intellectuality is in so far useful that an intellectual person can best express spiritual inspiration. Many people say, 'I had a deep feeling, but that feeling is all gone, it is lost. Now I have no more feeling'. That means that something in them has died. They do not know it, but something of great importance has died, for they were affectionate, loving, kind. Perhaps they have met with the disappointing qualities of human nature and have become disappointed, and so the feeling heart has taken the bowl of poison and died. Or perhaps some began to dig the ground in order to find water, but before they could reach water they saw mud. Having no patience to go on digging still they became disappointed with the mud and lost their enthusiasm to dig. There are others who, out of self-righteousness or keen perception of human defects or out of their critical tendency, begin to hate before they can love someone, and so hate comes first giving no chance to love. What is necessary is to develop a sympathetic nature and to sustain its gradual growth. As it is difficult for the student of voice-culture to practice his voice and not to let it be spoiled – for even practice may spoil it – so it is with the sympathetic person: while developing the faculty of sympathy there is a chance of spoiling it. In other words, the more loving a person, the more chance he has to be disappointed. The greater the love, the finer the fragility and the more susceptible to everything; therefore the greater the love, the more fragile the heart – at any moment it can break. The one who walks in the path of sympathy therefore must take great care that his way may not be blocked. It is his own perseverance that will keep him from everything that is trying to block his way. There is one principle to be remembered in the path of sympathy: we must do all we can with regard to the pleasure of those whom we love and whom we meet, but we must not expect the best from those whom we love and meet, for we must know that the world is as it is. We cannot change it, but we can change ourselves. The one who wants others to do what he wishes them to do will always be disappointed. That is the complaining soul; all day long, every day of the month, that soul is complaining. He is never without a complaint; if not about a human being, then it is the climate; if not about the climate then about the conditions; if not about someone else then about himself. Something is hurting that person all the time. He must remember that self-pity is the worst poverty. The person who takes life in this way, saying, 'My poor self, crinkled, forgotten, forsaken, ill treated by everybody, by the planets, even by God' – that person has no hope; he is an exile from the Garden of Eden. But when one says, 'I know what human nature is, I cannot expect any better, I must only try and appreciate what little good comes from it, I must be thankful for it and try and give the best I can to others' – that is the only attitude that will enable man to develop his sympathetic nature. The one who keeps justice on the foreground is always blinded by it; he is always talking about justice, but never knows it. As to the one who keeps justice in the background – the light of justice falls on his way and he only uses justice for himself. When he has not done right to others he takes himself to task, but if others do not do right towards him he says that this is justice also. For the just person all is just, for the unjust everything is unjust. Remember that the one who talks too much of justice is far from justice; that is why he is talking about it. One may think, 'Is there any reward in sympathy if it leads only to disappointment?' I shall answer, 'Life's reward is life itself'. A person may suffer from illness or disease, be most unhappy and sad, but ask him, 'Shall I turn you into a rock? ', and he will say, 'No, let me live and suffer'. Therefore life's reward is life; the reward of love is love itself. Loving is living, and the heart that closes itself to everyone closes itself to its own self. The difference between human love and divine love is like that between drill and war. One has to drill in order to prepare for war. One has to know the phenomenon of love on this plane in order to prepare to love God who alone deserves love. The one who says, 'I hate human beings, but I love God', does not know what love means; he has not drilled, he is of no use in war. A loving person, whether he loves a human being or whether he loves God, shows no trace of hatred, and the one who has hatred in him loves neither man nor God, for hatred is the sign that the doors of his heart are closed. Is it not a great pity that we see today among the most civilized nations one nation working against the other, lack of trust between nations and this fear of war? It is dreadful to think that humanity which appears to be progressing so much is at the same time going backward to such an extent that never in the history of the world such bloodshed has been caused as during the last war. Are we evolving or going backward? What is missing is not intellectuality, for people are capable of inventing things and imagining governments every day better and better. Then what is missing? It is the heart quality. It seems it is being buried more and more today. Therefore the real man is being destroyed and the false part of his being is continuing. A better condition can be brought about by the individual who will realize that the development of the heart and nothing else brings about better conditions. The other day I lectured in Paris and after my lecture a very able man came to me and said, 'Have you got a scheme?' I said, 'What scheme?' 'Of bettering conditions.' I replied that I had not made such a scheme, and he said, 'I have a scheme, I will show it to you'. He opened his box and brought out a very large paper with mathematics on it and showed it to me saying, 'This is the economic scheme that will make the condition of the world better: everyone will have the same share'. I said, 'We should practice that economic scheme first on tuning our piano: instead of saying D, E, F, we should tune them all to one note and play that music and see how interesting that would be – all sounding the same, no individuality, no distinction, nothing.' And I added, 'Economy is not a plan for construction, but it is a plan for destruction. It is economics which have brought us to destruction. It is the heart quality, it is the spiritual outlook which will change the world'. Very often people coming to hear me say afterwards, 'Yes, all you say is very interesting, very beautiful, and I wish too that the world was changed. But how many think like you? How can you do it? How can it be done?'. They come with that pessimistic remark, and I tell them, 'One person comes into a country with a little cold or influenza and it spreads. If such a bad thing can spread, can not an elevated thought of love, kindness and goodwill towards all men spread? See then that there are finer germs, germs of goodwill, of love, kindness, and feeling, germs of brotherhood, of the desire for spiritual evolution, which can have greater results than the other ones. If we all have that optimistic view, if we all work in our little way, we can accomplish a great deal'. There are many good, loving and kind people whose heart goes out to every person they meet, but are they spiritual? It is an important question to understand. My answer is that they are just close to spiritual attainment, but unconsciously spiritual. They are not spirit-conscious. Often we meet a mother, a father or a child in whom we see a deep loving tendency; love is pouring out from them, they have become fountains of love. They do not know one word of psychology, of mysticism, but that does not matter. After all what are these names? Nothing but nets for fishes to be caught in, which remain in those nets for years. Sometimes these are big names with little meaning to them, of which much is made by those who want to commercialize the finer things. Very often it is a catering on the part of so-called spiritual workers to satisfy human curiosity and to create sensation even in the spiritual world. But truth is simple. The more simple you are and the more you seek for simplicity, the nearer you come to truth. The devotional quality needs a little direction; that direction allows it to expand. The loving quality is just like water. The tendency of water is to expand, to spread, and so the loving quality spreads. But if a person is not well directed, or if he does not know how to direct himself then – if instead of deepening, that quality flows – it is without root and it becomes limited. The love quality must be deepened first before it spreads out. If not, what generally happens is that those who set out to love all human beings end in hating all human beings. Because they did not first deepen themselves enough they did not have all the strength to draw more. The Sufis have therefore considered the development of the heart quality as a spiritual culture, and have called it the culture of the heart. It consists of the tuning of the heart. Tuning means changing the pitch of the vibrations. Tuning the heart means changing the vibrations, bringing them to a certain pitch which is the natural one where you feel the joy and ecstasy of life, which enables you to give pleasure to others even by your presence because you are tuned. When an instrument is properly tuned you need not play music on it; just by striking it you will feel a great magnetism coming from it. If an instrument well-tuned can have that magnetism, how much greater should be the magnetism of hearts that are tuned. Rumi says, 'Whether you have loved a human being or whether you have loved God, if you have loved enough you will be brought in the end into the presence of the supreme Love itself'. Question: Is there a science of culture of the heart? Answer: The science of the Sufis teaches that in the mind and in the body a blockage is produced by the lack of development of the sympathetic nature. In the physical body are some nervous centers which are awakened by sympathetic development and by lack of sympathy they are closed. It is therefore that a butcher is less intuitive: everything that keeps man away from sympathy robs him of intuition, because sympathy develops a life in the finer centers, the nervous centers, and the absence of sympathy takes away that life. So it is in the mind; when the heart is not sympathetic something is missing in the mentality of man, and it is sympathy which opens it. Sufis have the medicine for this disease: it is the practice of a certain art which in our language is called zikr or mantram. By practicing that particular art in the right way one works with vibrations on these fine centers. It is a process of vibrations by the help of certain mystically prescribed words; by the repetition of these mystical words the centers begin to vibrate. Very often after six weeks' practice a person feels quite different. Then with that vibration a thought is held in the mind and so concentration is developed at the same time. It helps the love nature or sympathetic nature to be deepened and centralized in the person. As the love nature develops it begins to flow out, and its outflowing creates an atmosphere, a spiritual atmosphere. That is why in the East you will always find that the presence of a Sufi is sought by Hindus and Muslims, by people of all different creeds, because the Sufi is all. He is not solely a Hindu or a Muslim, he has not any other religion, he is all, and this comes from the development of feeling. During my pilgrimage to the holy men of India I have seen some whose presence could illuminate you more than reading books for your whole life, or than disputing over any problems a thousand times. They do not need to speak, they become living lights, fountains of love. And if there is infection in disease so there is also infection in spiritual attainment. It is infectious, a person feels uplifted, he feels full of joy, ecstasy, happiness, enlightenment. Of course the one is more impressed than the other; upon one the influence is much greater than upon another. It all depends upon the person. I will tell you an amusing instance. I remember a lady telling me, 'Since you have come my husband is very, very nice'. I said, 'Yes'. But eight days after I had left that town she wrote to me that the man was just where he had been before. The effect of influence is very different, because it is just like the effect of fire. The effect of fire on stone, on iron, on wax, on paper, on cloth, on cotton – upon every object – is different. So, on every person the effect of a spiritual personality is different.